After the JEE Main 2016 examination will be conducted successfully on 3rd April and 9th April, the JEE Main 2016 Answer Key would be made available in few days. This answer key will help the students to recall the questions and find out how many questions have been attempted correctly. It gives them a prompt idea about their final scores in the examination before the declaration of result. Most of the students who have given JEE exam will be eagerly waiting for JEE Main answer key. CBSE is concerned authority regarding this matter and the answer key would be by CBSE only. JEE Main 2016 Paper1 will have three sections- Physics, Chemistry and Mathematics. Each question will carry 4 marks. For every wrong answer you have marked, there would be a negative marking and one mark will be deducted. The best part is that JEE Paper 1 will have multiple choice questions. The total marks obtained by the students will be calculated by a simple formula = number of correct question(s) x 4 – number of incorrect question(s) X 1. You may score negative marks based on your performance. JEE Main Answer Key 2016 will help the students to check out how many questions they have attempted correctly on OMR sheet/computer. This will give them a brief idea about their scores. CBSE will be releasing the JEE Mains Answer Key 2016 by 18 April. You can check out the answers and can challenge the answers given on the answer key from 18th April to 22nd April. CBSE gives a fair chance to everyone to challenge the answers marked on answer key. If your challenge is found correct then the answer key would be changed and you might be awarded for showing your brilliance by CBSE. CBSE releases four different sets of question papers for Offline JEE examination. You can also find out Offline JEE Main 2016 Answer Key from April 18 to April 22 on CBSE and JEE official websites. Last year CBSE issued set A, B, C, and D for Paper 1 while Set W, X, Y, and Z were issued for Paper 2 of JEE Mains. This exam is a big challenge and only the brilliant students are able to clear this examination with ease. The JEE main 2016 Paper 1 Answer Key will have all the answers for the 90 questions asked in the exam. 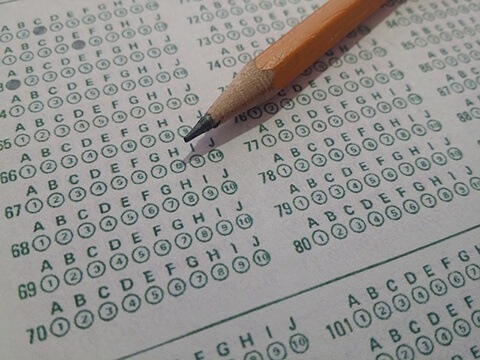 There will be different answer keys for different questions asked in the exam. JEE Main Paper 2 Answer Key for architecture students will have the correct answers for mathematics and aptitude test. Answer key for drawing test would not be made available by CBSE. After the release of answer key by CBSE, the students can easily find out how many answers they have given correctly and how many wrong answers have been given by them. It gives them a rough idea about their marks. Any amendments in the answer key will be notified by CBSE through its official website or JEE’s official site. After the exam have been conducted successfully, JEE Main Answer Key with solutions will be made available by coaching institutes and students can check the answers easily much before CBSE releases the answer key. So, you can easily get access to all the answers with solutions before the JEE main Answer Key 2016 is announced officially by CBSE. Stay connected with your coaching institutes or their websites to find the answer key with solution for the JEE examination. After giving the JEE main examination all the students will be feeling relieved, but some might be filled with emotions. Although, the stress of examination would get over after the exam, but the excitement to check the answers for your questions would stay alive. You can either choose to wait for the answer key to be released by CBSE or you can even choose to search the answer keys online after the paper. You will definitely find JEE main 2016 Answer Key online before the official release by CBSE.